I’ve recently updated my MPC2500 bible, ‘Beat Making on the MPC2500‘ to now fully support the ‘Free JJOS’ (3.10). After downloading the book, as well as the Akai OS version you now find an additional book tailored specifically for the Free JJOS. If you already have the Akai OS version of ‘Beat MAking on the MPC2500‘, you can download this update from your File Bank for free! If you’ve not bought this book yet, have an MPC2500 running either Akai OS or the free JJOS (3.10), this book will help you discover just how creative you can be with your MPC2500. There’s hundreds of pages of practical, hands-on MPC2500 tutorials that you all the practical music making skills the manual doesn’t cover, including sound design, drum layering, drum kit building, multisampling, advanced sequencing tricks and much, much more! 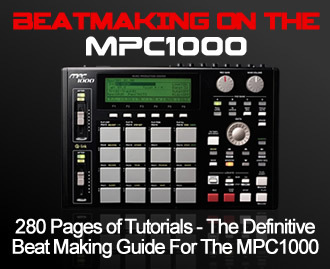 Get more information on ‘Beat Making on the MPC2500‘. The reason why I ask: It seems that the 500, 1000, 2000xl, and the 2500 are stuck using to ONLY use MIDI Channel #10, which is the General MIDI channel for drums. Thanks, in advance! Each track in any MPC can be set to any one of 16 channels. If your MPC has multiple MIDI outs, then you can utilise 16 channels on each MIDI out. There is no limitation to only using channel 10.